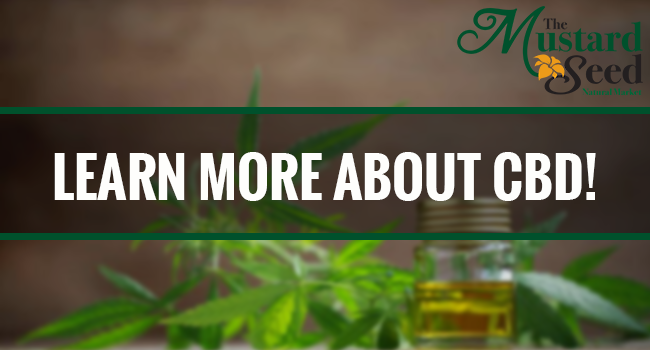 Watch Our Video on CBD Oil to learn how it can benefit your healthy lifestyle! View all of our cbd products! A family owned and operated business since 1997, Scott, Kelly, and now Ryan, our son, are as committed today to our community as we were in 1997. Fast forward 21 years, we now have 15 staff members to help us in our daily operations. This includes our retail store and the fresh food café. Our mission is to serve the community with a friendly knowledgeable staff. We have ongoing training to answer most questions on supplements, diets, health and beauty care. We offer a full shopping experience to include organic and natural foods, bulk coffees, teas and much more. For your convenience, enjoy our new online shopping portal! Scott and Kelly are the owners of the store. With over 20 years of experience in the organic food industry, they truly practice what they preach: living a wholesome and holistic lifestyle. Their passion and transparency throughout the years have helped to develop strong relationships within the community and loyal customer base that continues to grow. Their leadership and high standards have helped to cultivate an exceptional staff. Meet some of them below! Russell is the General Manager and Senior Grocery Manager with a focus on bulk and shelf-stable grocery items. He works extensively with local and regional level organic food representatives to maintain a wide array of product to fit our customers’ needs. Martika is the Assistant Grocery Manager with a focus on Refrigerated, Frozen, and Gluten-free Product. She has a background in Dietetics and Clinical Nutrition and enjoys working with individuals looking to accommodate food allergies and intolerances into a healthy and balanced diet. Barbara is one of our main points of contact on the sales floor. With an extensive history in sales and a passion for holistic living, she is a fantastic go-to for our customers to find the right product for a variety of needs. Holly is the Supplement Manager and the main Buyer for the supplement aspect of the store. She has an extensive background with holistic supplementation and is a great contact for those new to herbal supplements or for those just looking to expand their knowledge. She also handles special orders for customers looking for a specific product we might not normally carry. Carl is one of our top sellers on the sales floor. He has extensive knowledge in supplementation and nutrition, with a focus on athletic conditioning. He is a great advocate for promoting homeostasis in the body through proper nutrition and supplementation. Daryn is the main Advertiser for the Store, developing signage for product and managing social media. She also partners with Frontier Co-op to maintain the herbs and spices in our bulk section. Tara is the Manager of the Café at The Mustard Seed. Tara’s passion for helping others and customer service is shown with every customer in our Café. Tara is a point of contact for all Café inquiries. Such as Catering, Ingredient Information, Private Events. Brittany is the head pastry chef and baker for the Mustard Seed Café. Our Cookies and Bakery items are a must when trying out our café. Brittany also has an extensive background in Vegan and Gluten Free baking. You can contact her for specialty baking orders and catering. Passing through Watertown I'm so glad that there's somewhere I can stop and get a healthy meal. Enjoyed the vegan BLT immensely with gluten free bread. What a treat. Will defiantly stop in again. Simply the best food from local produce. This place, these people, their food and this community is simply an amazing gem. The cafe food was delicious. The staff there are very approachable and are all super nice. Love this place! Can't wait to go there more often. Visit Our Retail Store & Cafe Today! Check Out Our Fit Food Catering! Free Shipping on All Orders $40 or More!